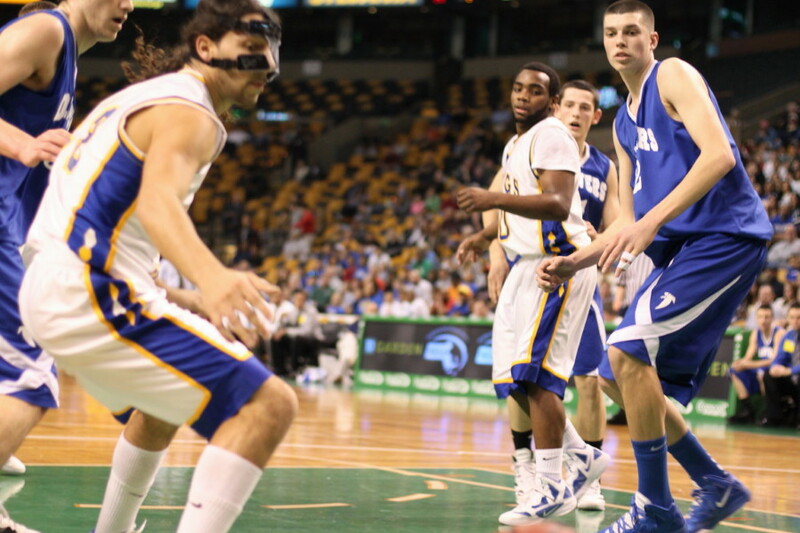 (Boston) Undefeated Wareham erased a ten-point deficit with twelve straight points in two minutes against Danvers. Time to panic, now trailing 32-30? 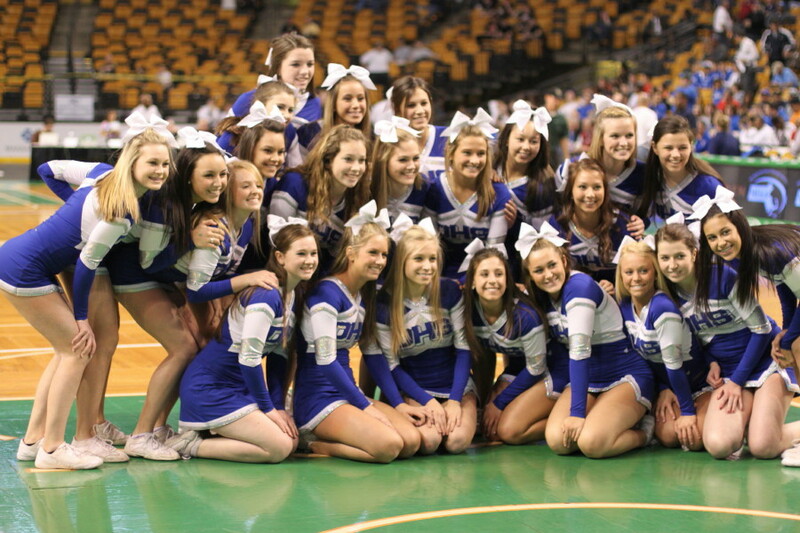 Not the 2011-12 edition of the Danvers Falcons. 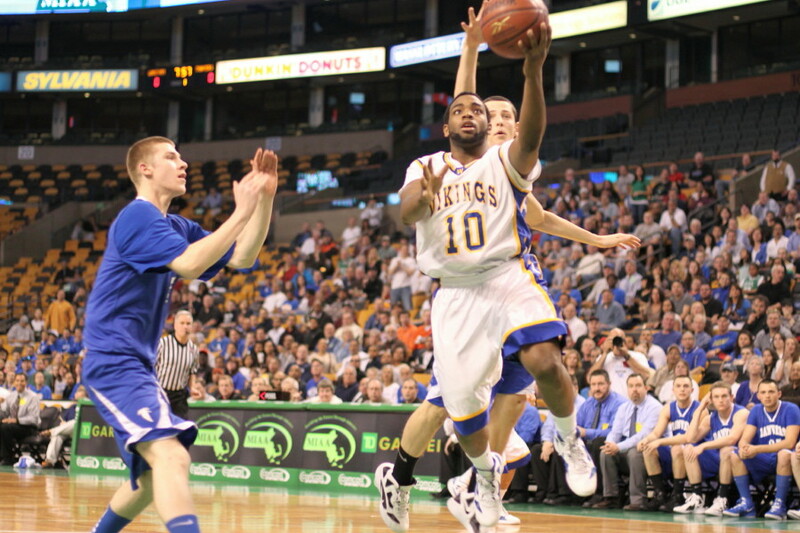 The Northeast Conference champs (20-4) responded with a mind-boggling 30-to-4 run over the next eight minutes and went on to blow away the Vikings, 68-45, on Monday at the TD Garden to win the D3 state semi-finals. When that amazing 30-to-4 segment ended there were still 6 ½ minutes left (60-36) to play. The rest of the way was all high-fives and smiles for the winners. One big benefit of the way things went was that every player on the two rosters got a chance to play at the Garden. 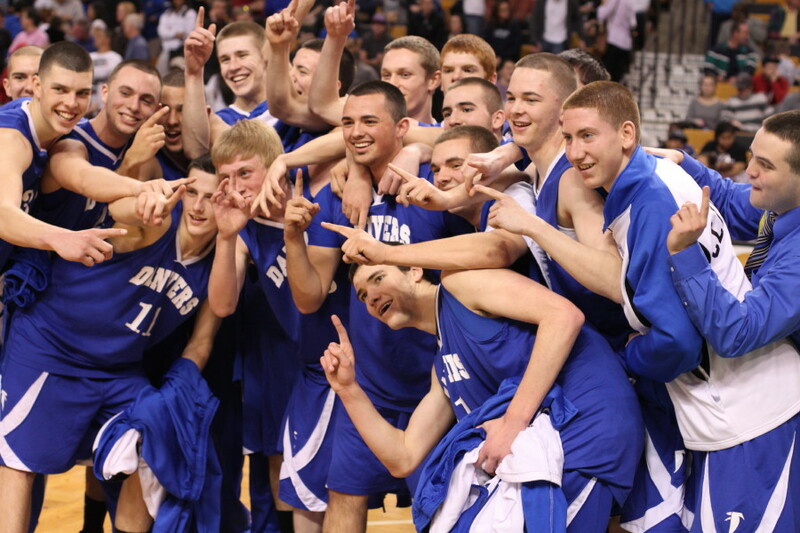 Danvers moves on to the Worcester Centrum on Saturday with a chance for a state title. 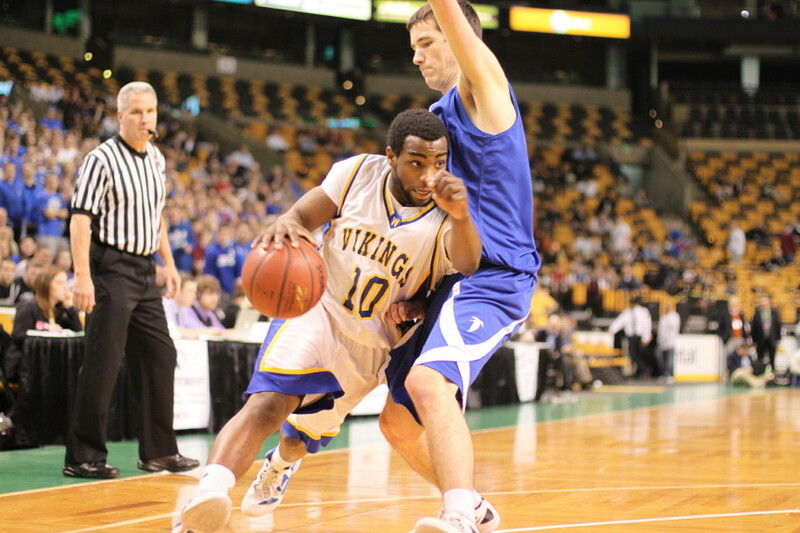 It was apparent early on that 6-7 George Merry (22 points) was going to be a serious problem for the Viking defense. And as has happened in the tournament, when a defense concentrates on George, other Falcons, after quick ball movement, get open looks. 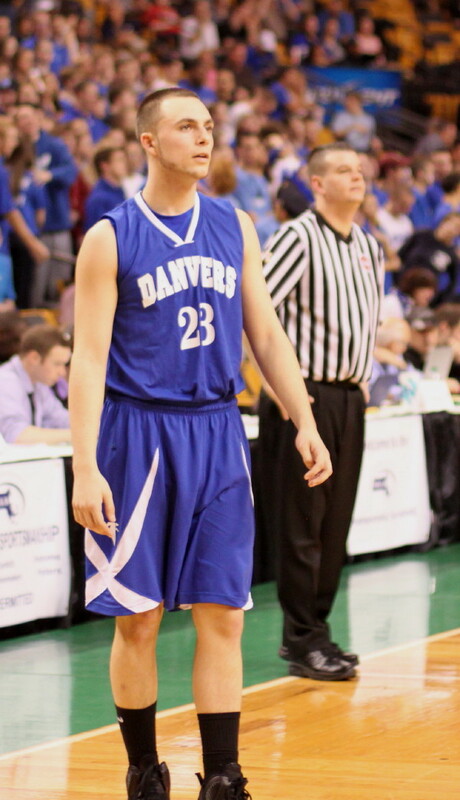 Nick Bates (17 points) took full advantage in the early going as Danvers led, 21-9, after a quarter. The Vikings started to show some life in the second quarter. A run of seven (Aaron Baptiste triple, two Jeff Houde free throws, and a Darien Fernandez layup) closed things to 24-18 midway through the second period. 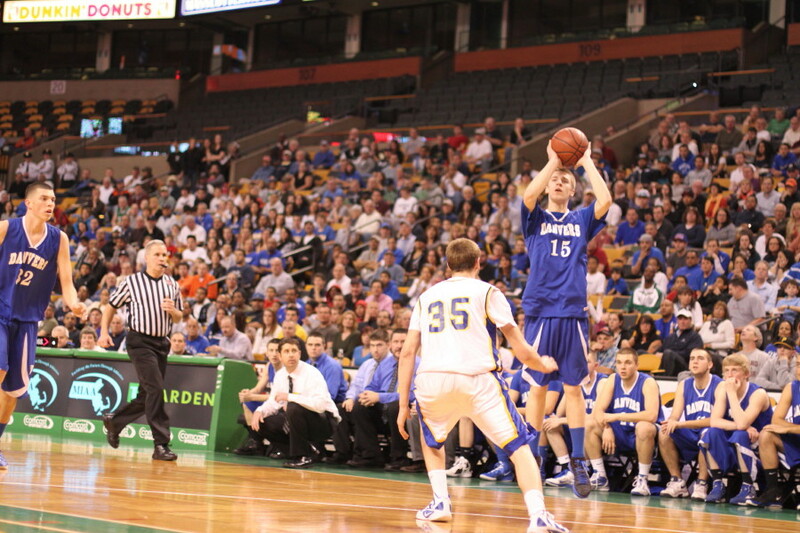 Two free throws (Jeff Houde) ended the first half but they were the beginning of a 12-point lightning run by the Vikings. 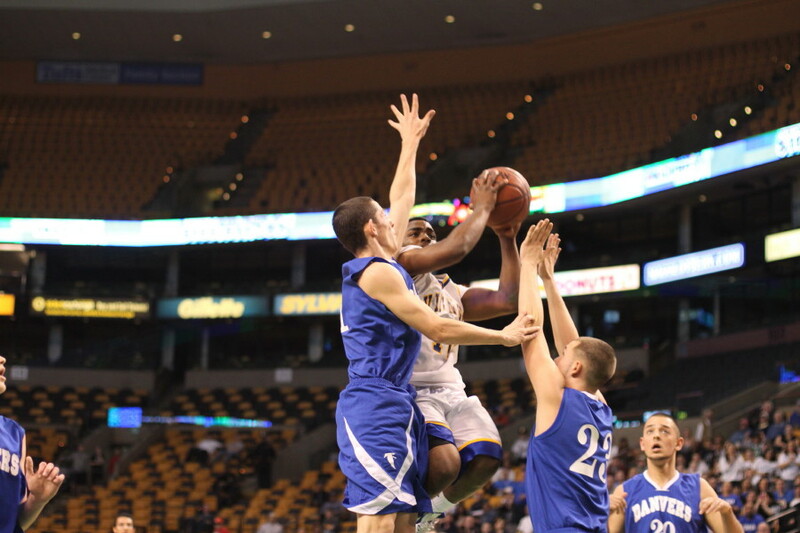 Two quick triples (Stefan Montiero and Aaron Baptiste) to start the second half and Wareham was completely energized. 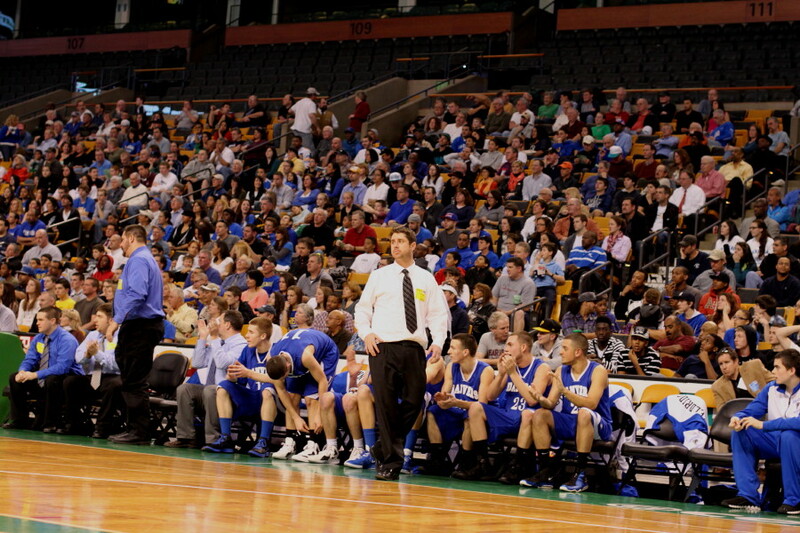 The defense swarmed the Falcons and Danvers surrendered two more baskets and the lead. As I suggested earlier, down 32-30 with most of the second half left was not likely to be of great concern to the Falcons. All you had to do was be on hand at Lawrence High School when Danvers was down to Wayland by ten points with 1:28 left in the game, to realize that the Falcons can recover from adversity. 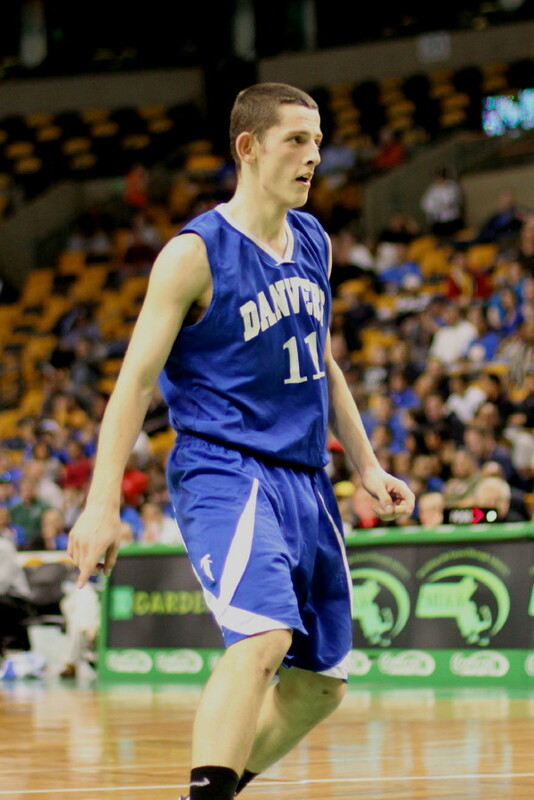 Three straight triples (Nick McKenna one and Nick Bates two) did the trick this time and Danvers went up by seven (39-32). 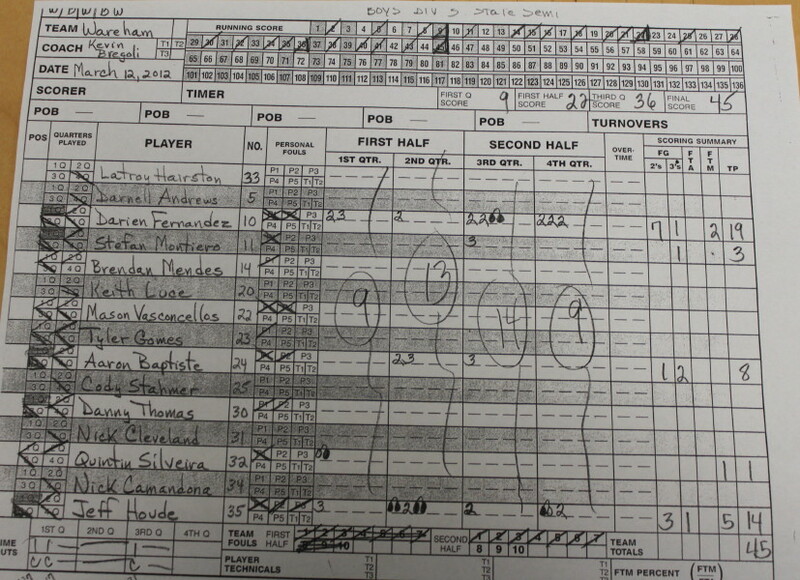 At that point Darien Fernandez (19 points) hit a jump shot. But before Wareham would score another point, the Falcons reeled off thirteen straight during the next four minutes and made their lead, 52-34. So in one quarter, the Vikings went from down eight (30-22) to up two (32-30) to down eighteen (54-36). Both cheering sections had plenty to cheer and groan about! 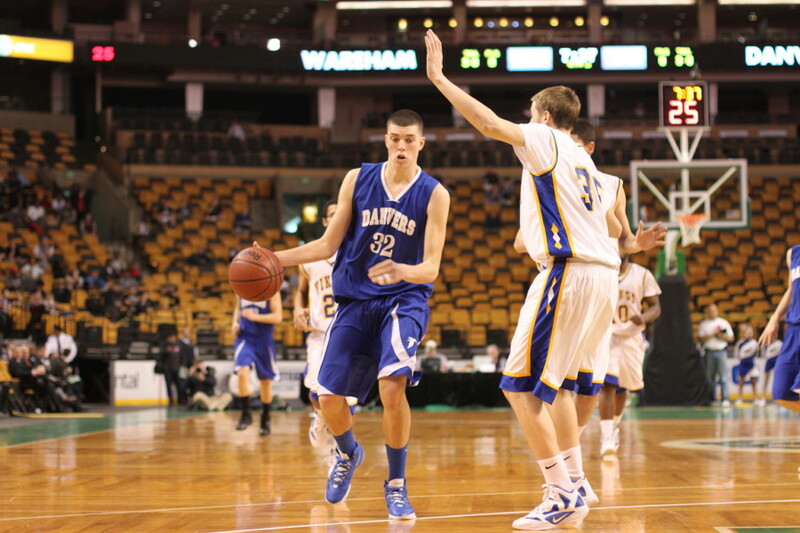 During the big Falcon run, the Vikings joined the list of teams discovering that Danvers has numerous scoring weapons. George Merry had only eight of the thirty points. 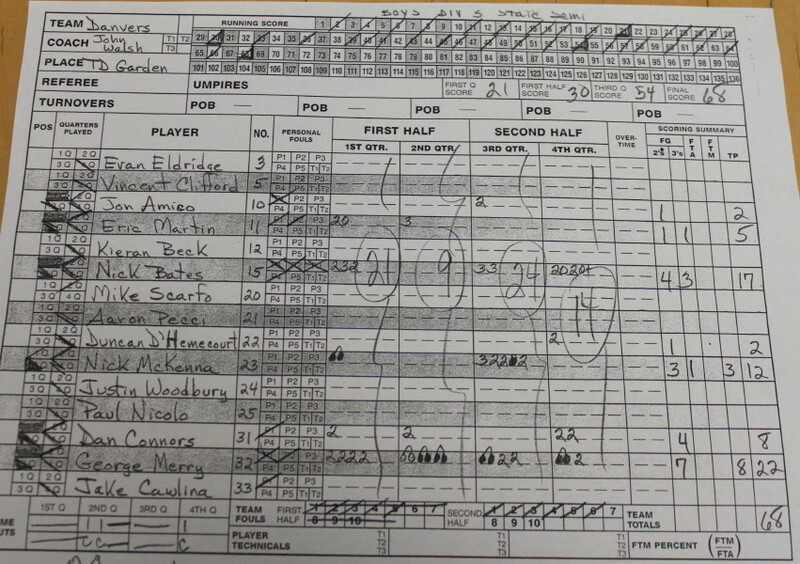 Nick McKenna (12 points) had ten while Nick Bates added eight. Jon Amico had a steal and a layup while Dan Connors cashed a jumper at the end of the run. The Vikings also found out that there wouldn’t be too many easy shots from in close with a shot-blocker such as George Merry in the area. 5-8 Darien Fernandez did make several acrobatic layups with George in the area. Point guard Eric Martin continues to distribute effectively. 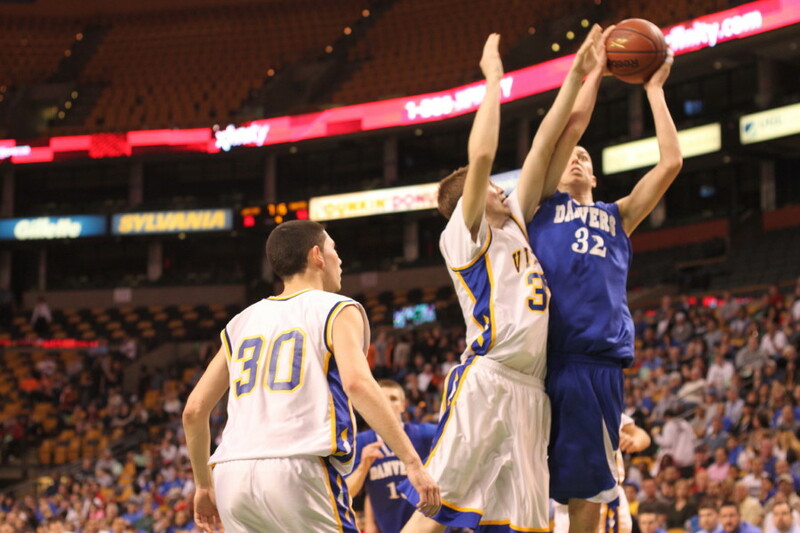 He also was a crucial part of Danvers ability to handle the intense full-court pressure of Wareham. Both teams made five triples. 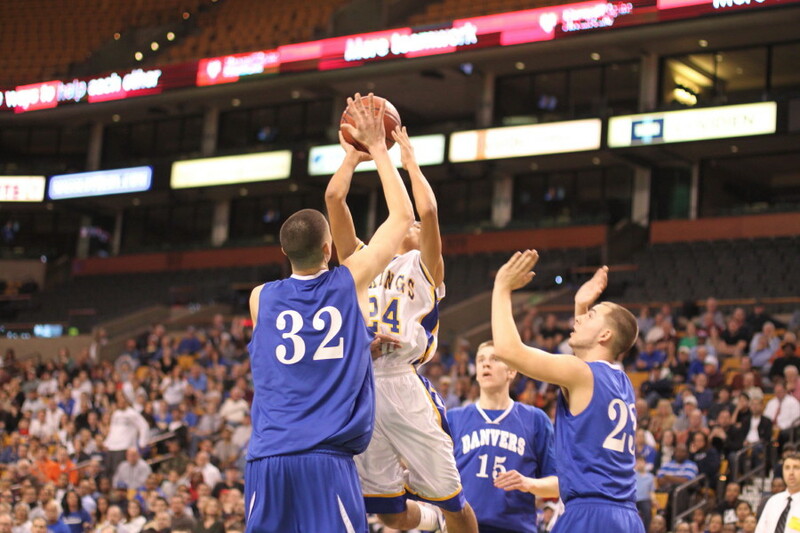 Wareham (24-1) has won the South Coast League six straight years. They also won the state title two years ago.